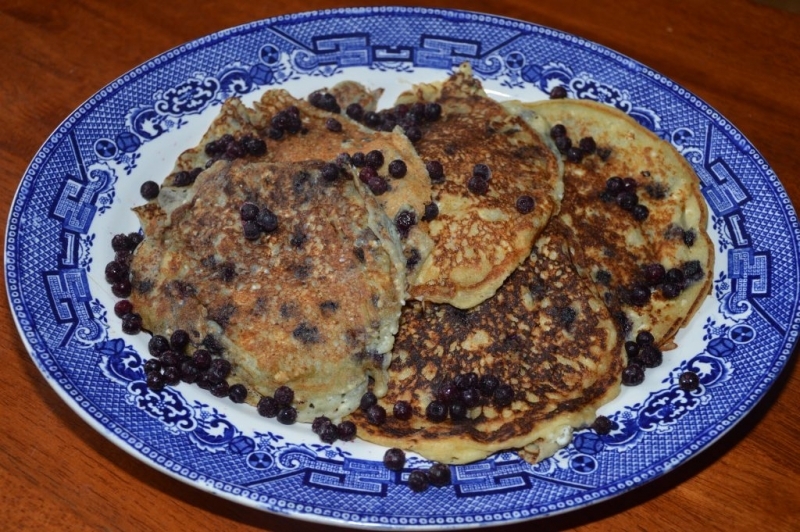 Pancakes are always a family favourite on weekends - especially blueberry pancakes. Try this recipe with a twist -- cheese. One of those lazy days where everyone sleeps in from the celebrations the night before. In light of this, I thought it would be fun to post one of our families favourite dishes for brunch; Ricotta Blueberry Pancakes topped with whip cream and drizzled with 100% pure maple syrup – a decadent treat for the holidays! In a bowl combine pancake mix, milk and water until smooth. Fold in Ricotta cheese and blueberries. Pour one spoonful of batter on a hot griddle that has been sprayed with vegetable oil. Cook each side until lightly browned. Serve with whip cream and maple syrup. Enjoy and toast in the new year with your family!